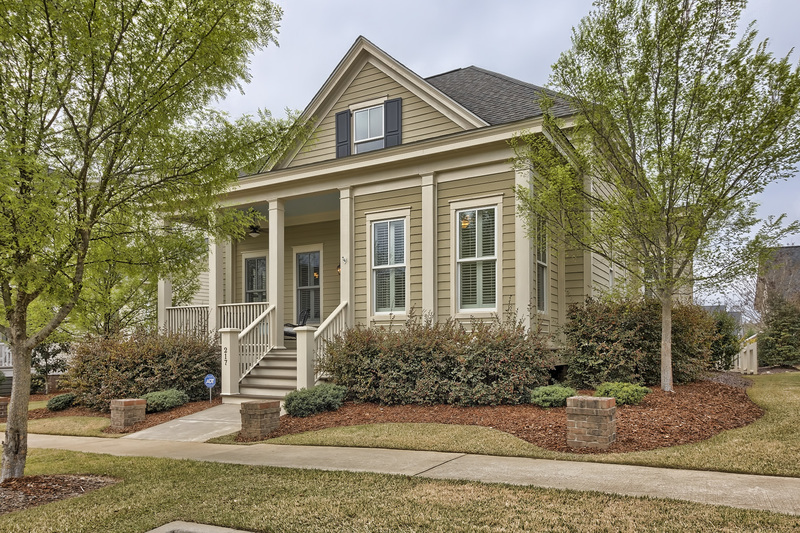 Craftsman with a desirable 4 bedroom floor plan in Saluda River Club's Village District! Features include - kitchen w/granite, beautiful cabinets, & an oversized island open to a spacious family room. Formal dining room w/room for large table. Master bedroom on main w/upgraded master bath, & custom closet. 2nd bedroom on main w/closet next to full bath room. 2nd floor features 2 spacious bedrooms w/a expanded Jack & Jill. Hardwoods throughout the main level & plantation shutters. One of the largest Village District backyards & oversized 2-car garage w/unfinished room over. Spacious screened-in porch. Lexington One Schools including River Bluff High School.